Keep one major thing in mind: There is no 90-day grace period provision in the new Hands-Free law. Georgia's hands-free law took effect on Sunday, July 1, 2018. It is a sweeping, landmark measure that has been under consideration for several years and will affect all of us as Georgians in one way or another. 11Alive's Christie Etheridge followed Georgia State Patrol Trooper Cory Croscutt on Sunday, and it didn't take them long to find someone breaking the new law. "I saw your phone in your right hand so that is going to be a violation of the law," said Croscutt. If you hear an officer say that, you’re in for a ticket and a $50 fine. If it’s not your first offense, the fine goes up from there. But since the law just went into effect, Trooper Croscutt had a little mercy. "Just giving you a warning for today," he said, and educated her on what to do from now on. "You can use that Bluetooth, that’s fine, especially since it’s tied into your vehicle. You just can’t have that phone in your hand. You have to have your hands free." Less than 30 minutes later, they found another driver with a cell phone in her hand. This driver told Croscutt she was using the phone for GPS purposes, which he explained was OK, as long as you have it mounted. "I definitely think there’s going to be a time of adjustment when people are going to have to break those bad habits," Croscutt said. "We are all for keeping people safe and we definitely think it’s going to do that." With the flurry of information that has passed back and forth across the state in recent weeks, many people have been left confused by some portions of the new law and its provisions. We have put together a resource that will answer your questions and make sure that you have what you need so that, when the law takes effect this weekend, you are ready. Music streaming apps may be used, provided the driver activates and programs them when they are parked. They may also be activated and programmed via voice command. Drivers cannot touch their phones to do anything to their music apps when they are on the road. Music streaming apps that include video are not allowed since drivers are not permitted to watch videos while on the road. Drivers can listen to and program music streaming apps that are connected to and controlled through their vehicle's radio. GPS apps like Waze or Google Maps may also be used -- provided the address or other navigational data is punched in before a motorist begins driving or the navigational data is provided via voice-based input. Reporting a traffic crash, medical emergency, fire, criminal activity or hazardous road condition. When in a lawfully parked vehicle. This DOES NOT include vehicles stopped for traffic signals and stop signs on public roadways. Cannot reach for a fallen telephone or electronic device that has fallen if it requires the driver to shift out of his seat unless the vehicle is properly parked off of the roadway. The driver of a school bus cannot use a wireless telecommunications device or two-way radio while loading or unloading passengers. The driver can only use a wireless telecommunication device such as a two-way radio while the bus is in motion to allow live communications between the driver and school and public safety officials. Citations can and will be issued starting July 1 for any violation of Hands-Free Law, including those where the violation involves a traffic crash. 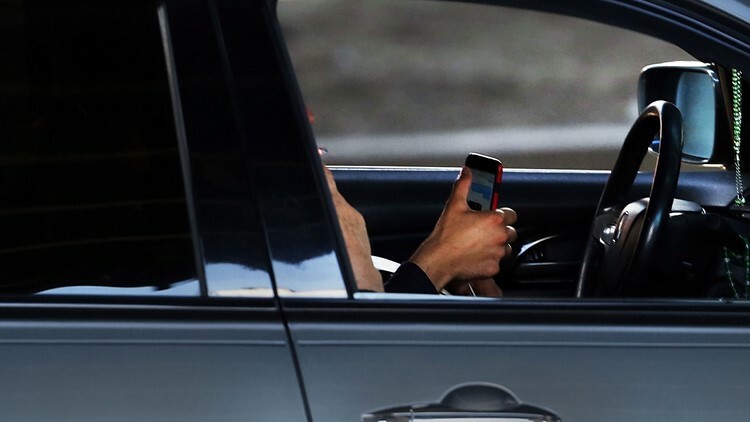 There is not a 90-day grace period provision in the Hands-Free Law. If a driver receives 15 points in penalties within a 2-year period, their driver's license would be suspended. ► Fact check: Does Georgia's new hands-free law apply to streaming apps? Georgia has seen significant increases in traffic crashes, fatalities and bodily injuries. Most of these have come from rear-end crashes, single-car crashes and crashes by younger drivers (those in the 15 to 25-year-old age group). Law enforcement officials have stated that these incidents are a clear indication of driver inattention. Yes, as long as it is done through hands-free technology. 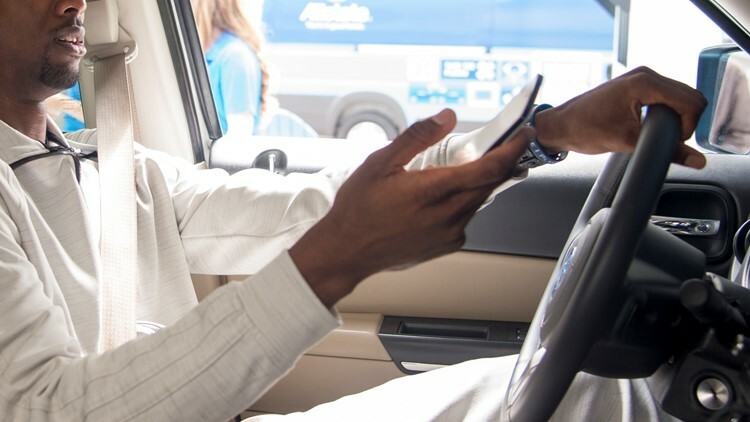 Drivers would be able to use their phone’s speakerphone, Bluetooth technology, an earpiece, a headphone or other device to allow them to communicate on a hands-free basis. Could I touch my cell phone to dial a number or receive or end a call? Would I be required to purchase a hands-free accessory, such as a mount or a bracket? No. The proposed law simply states that a driver cannot hold or support a mobile phone. A phone can be left on a vehicle’s console, a front seat, etc. However, for everyone's safety, law enforcement officials recommend the purchase and use of a hands-free device if using a mobile phone while driving. A driver cannot touch their phone to activate or program a radio app while they are on the road (this includes being stopped for traffic signals and stop signs). A driver can activate a radio app before getting on the road. A driver can also listen to programming from their app if it is connected and controlled by the vehicle's radio, and the driver is not touching their phone while driving. NOTE: Music streaming apps that include video are in violation of the hands-free law. The law specifically prohibits drivers from watching videos.